I agree. This shade looks great on you! I’m 19 and shimmery glosses often make me look a little juvenile but this post makes me want to try out those shimmers that are buried under the drawer again. I think that’s the loveliest shade on you, suits you down to a tee. I wish it was easier to find Helena Rubenstein over here. 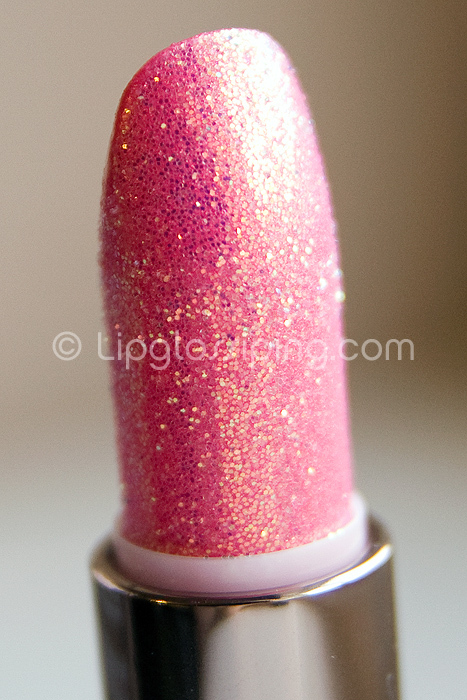 This is the most divine looking lipstick I have ever seen! I just want it to put in my window so I can watch it glitter in the light! I love your posts. You make me giggle. I LOVE this on you. Looks gorgeous. Firstly, I thought that the close up shot was of your nail. Thirdly, LOVING how great your lashes are looking. I saw how to look good naked on tv today and they used Shu eyelash curlers on the model and they really worked so I’m considering buying a pair. Oh and I forgot to add this, it looks like you’ve got a grill in the lip swatch photo..ballin’! i don’t think i could love this more, but then i read your description of it and i do. i love it more. TK Maxx in the UK!! I must go there!! Thanks for the tip…that lippie looks FANTASTIC on you. And, I always love your incredible lashes! 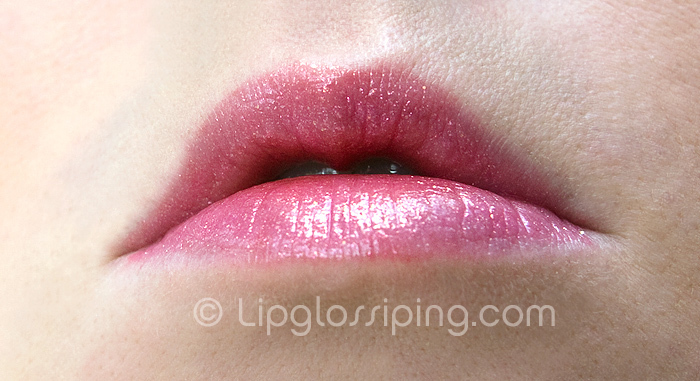 I’d definitely compare that lipstick to the Shiseido Shimmering Lipstick in SL 14. You can’t see that much glitter in the tube but it looks the same on my lips. @Justine – Yes, HR seem to be pulling out of everywhere!! My nearest proper counter is in France It’s do-able… but I’ll keep hunting for sources closer to home! @Lucy B – Super twinkly! @GoldenTouch – Thank you!! It is a bit special isn’t it! @Rhamnousia – haha, you made me chuckle. No grills here, probably a bit of spit or something… nice. 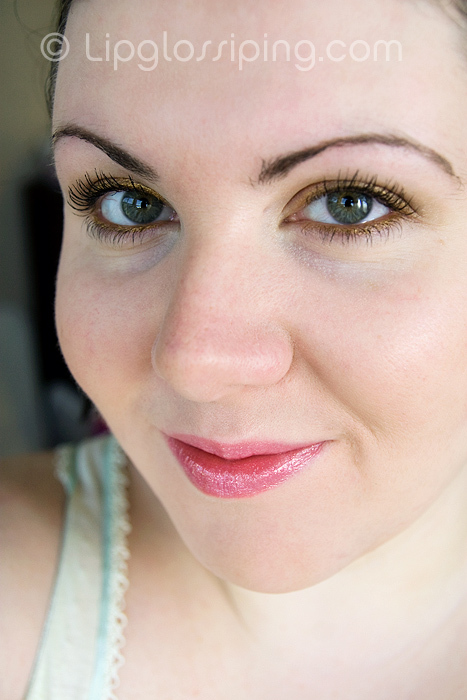 Loads of people are commenting on my lashes recently… well when I say loads, I mean… at least 4. Wonder if it’s the Mavala? @Lizzard – When I bought it, it was packaged with an eyeshadow in a security casing so I could actually see what it looked like and I asked the SA if I could have a peek before buying… he wasn’t supposed to (as it was discounted) but let me anyway. I laughed and said that I loved the eyeshadow, but hated this lippie. But that I’d buy it anyway (they came as a pair) and I’d have to find someone I didn’t like to give the lippie to for Xmas..
Oh, how wrong about it was I? @KellieGonzo – Haha, too cute! I want more, all lipsticks should look like this. @Jamilla – Thank you – oooh another lash compliment!! *looks at the Mavala* – You must go to TK Maxx it’s a veritable treasure trove of discounted hard to find goodies! @Viktoria – oooh thank you!!! I will have to have a google for the Shiseido!